So, how much would you pay for 2.0 targeting computer on Soontir? How about a generic interceptor? Probably. Lone Wolf depending on the rest of the squad. Maybe Juke? Haha, probably just whichever one ends up being cheapest. Thanks FFG for allowing us to continue talking about X-Wing. What's more Krayt than saying you will do something, forgetting about it, and then going to go do something else until you missed the window of opportunity? 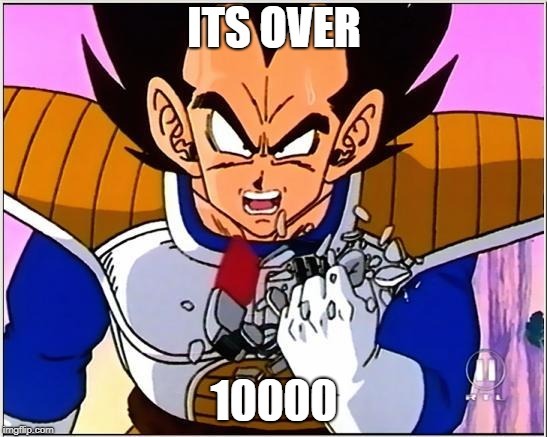 Speaking of "IT'S OVER 10,000!" what pilot or upgrade do we think could have a surprisingly high cost in 2e? Back on topic- everyone in the thread- What was your favorite 1.0 Krayt card? I'm looking into what should be remade for 2.0 first. Speaking of "IT'S OVER 10,000!" what pilot or upgrade do we think will have a surprisingly high cost in 2e﻿? Speaking of "IT'S OVER 10,000!" what pilot or upgrade do we think will have a surprisingly high cost in 2e? Heightened perception. It won't be free. My guess is Hera. She'll cost more than Kanan and be by far the least useful Ghost pilot. Not that I super care that much, but of all the Rebels characters, the one who should be the most useful pilot probably shouldn't be Kanan, definitely shouldn't be Chopper, and absolutely shouldn't be "Lothal Rebel". Inverse challenge: what will be really stupidly undercosted? I know Miranda supposedly costs 45 which would make 5 or even 6 K-Wings a thing, but I'm willing to bet that's just a mistake due to Alex being grilled with questions about points costs all day. My guess is Jumpmasters. They think they're totally nerfed now, so I'm willing to bet the base Jumpmaster is like 30 points or something disgusting like that. I'm scared to see what the crow title costs. I would not be shocked if it was 15 points. Uhh, jumps are going to 50+ No way they price them that low. Dash Rendar. 92 points plus what remains of your dignity. What was your favorite 1.0 Krayt card? I'm looking into what should be remade for 2.0 first. Ordinance in general. Proton Torps might or maybe should be kinda expensive compared to all the other ordinance. Not as much as an additional ship like Luke Gunner, but still probably higher cost than people generally understand why. Other interesting question is which card will have the biggest range of pt costs since the costs can be variable from ship to ship potentially. ie Is Super natural 20 pts on Vader and only 10 pts on an Inquistor? Maybe a bad example. since the costs can be variabe from ship to ship potentially. So do we think they'll really do this? Seems like a lot of complexity to add to listbuilding. That's another thing I'm incredibly interested in seeing how they implement it. I wonder if they apply the same theory to things like prockets. Do prockets on Vader cost a significant more than prockets on an initiative 1 a-wing? I was gonna bring that one up if nobody else did. I'm gonna be kinda general with this, but I think any I6 pilot and these unique Imperial crew cards not named Emperor Palpatine such as Grand Inquisitor, Sloane, and Darth Vader all might be a bit higher than people think. A lot of the ships that could be stupidly undercosted might be ships that haven't seen success in a long time (AWings, BWings, etc.) and probably deserve to be undercosted, which I don't mind at this time. It's probably more likely powerful looking upgrade cards might not be costed enough (Outrider, Supernatural Reflexes, etc.). I'm gonna be kinda general with﻿ this, but I think any I6 pilot and these unique Imperial crew cards not named Emperor Palpatine such as Grand Inquisitor, Sloane, and Darth Vader all might be a bit higher than people think. Next challenge is - what is the most I6 pilots you can get in one list? So why not just make Vader more expensive? Just wondering. Seems like it adds a lot of unnecessary complication. Like theoretically you could make shield and hull upgrades more useful by making them only 1 point on a Ghost or Falcon, but it seems like it makes it almost impossible to remember all this stuff and actually build a good list in the app, and it becomes a nightmare once all those costs start changing too. I like being able to at least remember a few things when listbuilding, and I don't like the idea of being forced to keep clicking through what the app tells me to do. Also - prockets aren't actually better on vader than an initiative 1 awing. They're a larger power increase on that awing, who is moving from 3-4 dice to 5. Vader is going from 3-4 -> 5. Granted, Vader can get them off easier, but they're single use anyways. I agree. Procket A-Wings are going to be a major pain to fly against, because the reposition and range 2 means they can define large areas of the board where you don't want to go. Excellent at herding large ships into killboxes.